This is my first Alexander Henry Double rifle, and my second double rifle in 450/400 3-1/4" caliber. The pictures that I have shown below appeared in the James Julia Auction from about 5 years ago. I used these pictures because they show a lot of detail and are much better than I could take with my camera. The auction description lists all the pertinent details. I can't wait to get to the range to see how this one performs. I'd be curious to hear what people think the "value" would be. I really don't know the value because I swapped a couple of Sabatti's to acquire it. "You never pay too much for something, you only buy it too early." Looks like a deep stamp to me, buckstix. The top "circle" if an '8', would/should be the same diameter as the bottom one, it isn't - it is smaller. If enlarged, ctrl button and + several times, is obviously a 6 - not an 8. The top barrel (right) is the one looking more like an 8, with a smaller top circle, however, when expanded to maximum, I see a small gap where the end of the top "tail" of the number 6 stops & doesn't quite meet the rounded bottom circle. I can see why you're confused mate, the bottom barrel certainly appears to be marked '60' whilst the top appears as an '80' to me - might be best to write away for that one & verify the loads first. I suppose you could still start at the 'tropical' level & see if it regulates there, the barrels will tell you what they like anyway. Apart from that you have a gorgeous piece of history there mate; an amazing piece to say the least! I do love the 450NE as 'the cartridge' for DG, but this is in my eyes a true working double, yes just a little fancy - but not over the top at all......bloody corker she is!!! Done it again Buckstix - can't wait for the 'loads' to come out! Wow your collection of classic rifles is still growing strong! 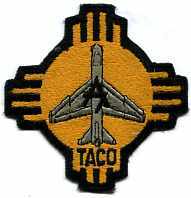 There was never any 80 grain Cordite load for the 450-400 3 1/4" NE. The barrels are definitely both marked 60 grains not 80. I see the description says the action is a PHV-1, but that is not correct. The PHV-1 is a Webley design and is different in many ways to what is shown in the photos. 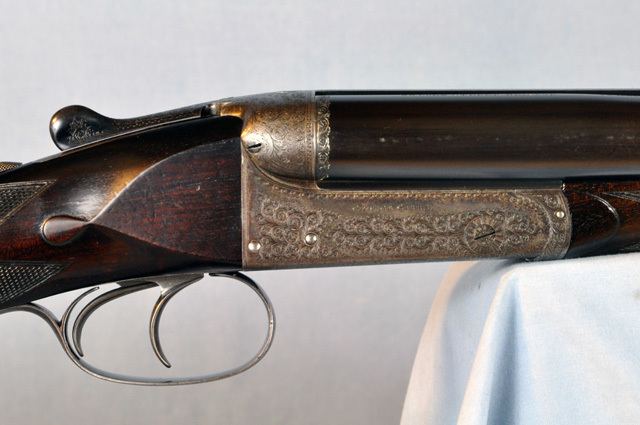 The action of this rifle looks similar to the trade actions which were used by many makers back then, but is not by Webley. I bet you are keen to see how she shoots! I didn't have much use for the 450/400 until I got one. Now I kind-of like it as a "fun" departure from my 577, 600, and 700. I already wrote Dickson to get the details. I'll be sharing what I find. The collection of double rifles isn't growing. Since I traded 2 for 1, it actually shrank from 23 to 22. I don't even know what a "PHV-1" is. That is the notation in the Julia Auction listing, not in the Alexander Henry book. This action has a "tapered doll's head" with a "Scott's hidden bite" at the step. The photo link shows a Rigby DR with a Webley PHV-1 action. Note the many differences compared to your Alex Henry. 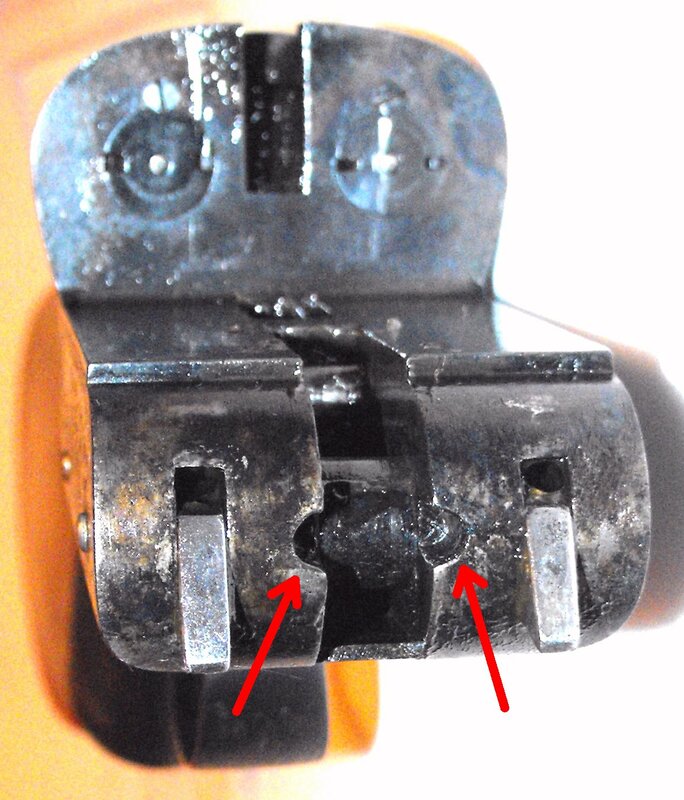 I read on one of the forums that actions that were built by Webley had a number stamped on the left side of the forearm hanger. Do you know anything about that? Yes I remember reading about the number on the hanger too. Sorry but I can't offer any details on that. The last Webley DR I owned was sold about 20 years ago. 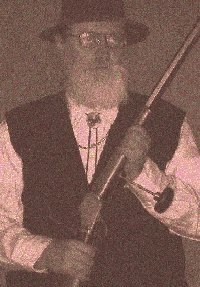 Capt Curl has owned a few Webley DR's and might chime in with some info for you. Looks like a Webley A&WC action. Closed it has the signature “clipped spade” shape to the doll’s head. That Alex Henry is definitely not an A&WC Webley. The action on that AH is very similar to the trade actions seen on some Manton doubles and others which also have the clipped spade dolls head. They differ considerably to the PHV-1 and A&WC Webley's though. 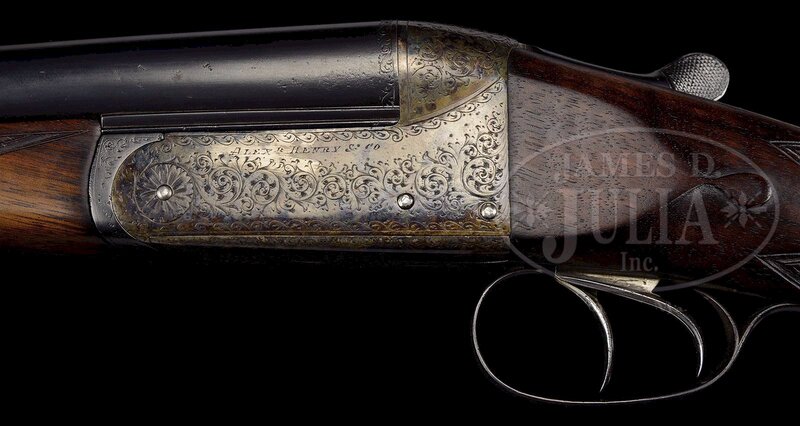 Huvius, here is a link to an A&WC Webley from the DR photo archive here. It is one of Curl's beautiful doubles. 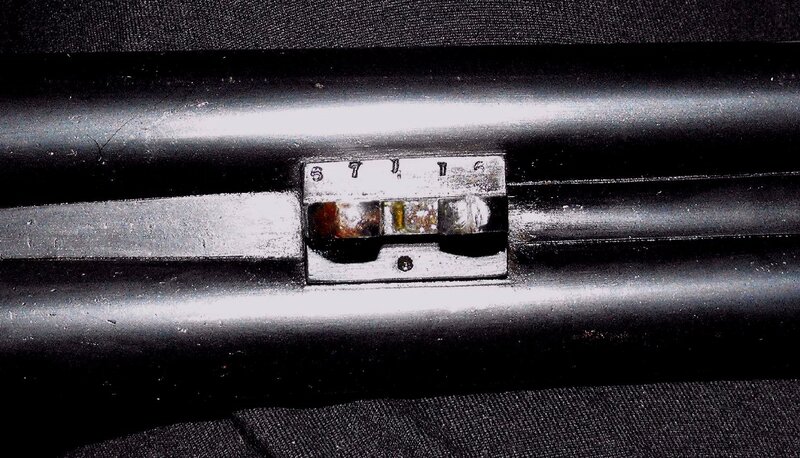 Buck, one of the photos in this link shows the Webley number on the fore-end hanger that you asked about. Buckstix … you OK if I add the serial number to my inventory ?? Also, my rifle has a similar feature to the one posted by CptCurl. (see red arrows) I wonder if this may be a clue to the actual maker. Yes, feel free to record the serial number. I'll post additional information when I hear back from Dickson. Cool pics, buckstix as well as ctrl +, ctrl 0 (zero) bring the enlarged picture & page back to normal, at any time. Same proof as my 450/400/3". My load is 60gr 3031 a tuft of Kpoc and a 400gr wooliegh. Slug your Bore. Some of them are .408 and some are .410. Both bullets are available. I forgot to mention use a magnum primer. Hope this helps. I'll help if I can, or at least muddy the waters. This Henry is certainly not a Webley PHV-1 action. It doesn't even resemble a PHV-1. Here's about as straight an example of the PHV-1 as can be found - a Charles Lancaster .280 Flanged NE I used to own. Charles Lancaster .280 Flanged NE. Most obvious is the difference in the doll's head third fastener and the fact that the operating spindle is set back from the third fastener. Buckstix's rifle more resembles a Webley A&W-C as Huvius observes, but I see substantial differences there too. Again, from my collection here is a rifle I still own. It is about as straight an example of an A&W-C as you will find - my Gibbs .450 NE: Gibbs .450 NE. The .303 linked above by 4seventy I still have also. It is a straight A&W-C, but it is built to much smaller proportions than the .450 scale action, so I thought the .450 NE is better for comparison. There is a great similarity in some respects, which I'll point to. First, the shape of the action balls suggests Webley. But on close inspection you see that the bottom lines of the action balls, the contours. are actually quite different. Beyond that, there is an obvious difference in the depth of the two actions from the water table to the bottom of the action. Buckstix's is much deeper than the Webley. 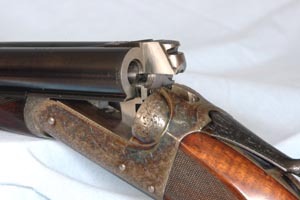 The reason for this is that the Webley is made much shallower by having the front lump pierce the action bottom. Notice also how the bottom plate of the action is much smaller on the Webley. You can see the sides of the bars curve all the way around to the bottom of the action, whereas on Buckstix's rifle the action floorplate extends almost all the way to the corners of the action bars. I also see a stark difference in the shape of the front of the trigger plate. On Buckstix's it appears to have parallel lines leading to the front radius. 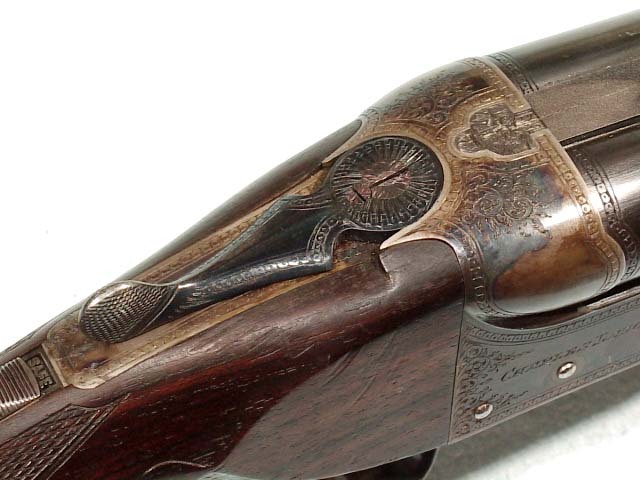 On the Webley the sides are noticeably tapered. Finally, the action pin is quite different for reasons I cannot explain without a hands on inspection. Comparing the top levers you see a set screw in the Webley where there is none in Buckstix's rifle. I've never seen a Webley A&W-C that lacks this set screw. Notice also the difference in the shape of the top tang. 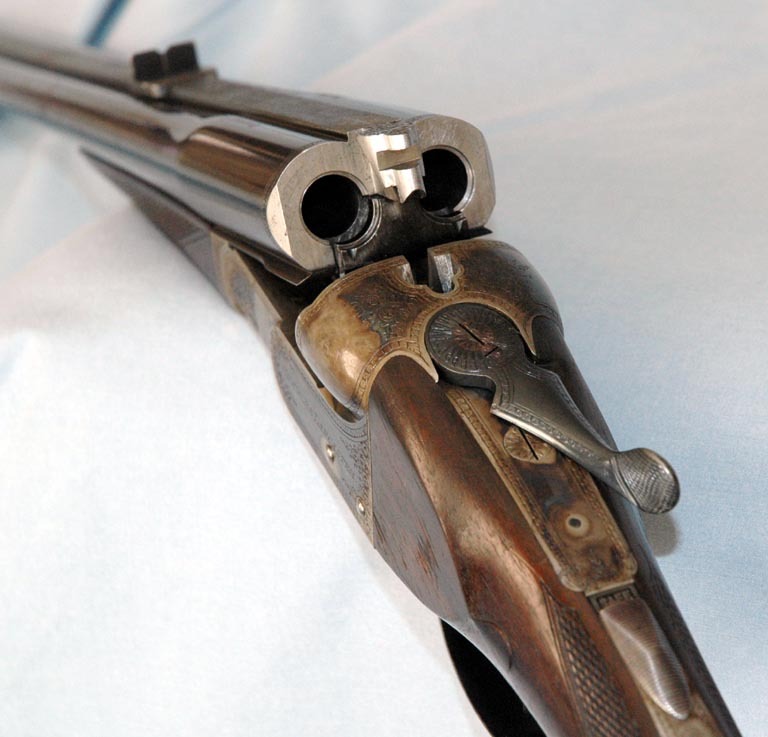 The Webley has a pronounced step on each side to reduce its width just ahead of the safety. Buckstix's rifle does not. I think this is typical of a Webley. Whether they did some one way and some another, I don't know. However, I will say this: The number on my .303 should be near the end of the line. It was made decades after Buckstix's Henry and is one of the last Webley double rifles made (1937). His much higher number is not a Webley number. I also notice this rifle appears to have an Anson forend attachment. That's not typical of Webley at all. In summary, I believe 4seventy is correct. I would not classify this rifle an A&W-C. There are distinct differences to the point that I don't believe it is made from the same forging as an A&W-C.
Who made it? I don't know. It certainly could be a product of Webley, or it could be somebody else. It certainly seems to co-op the A&W-C's distinctive screw grip third fastener, but by this time the patent on that feature was long expired. Nothing I have said is intended to denigrate this fine rifle. I am only speaking to the differences I see in its design compared to a Webley. As for loads, I would stay away from IMR3031. There have been too many unexplained blow-ups of double rifles using that powder. It might be safe, but the blow-ups are historical fact. I would follow Graeme Wright's guidance. In my .450-400 3-1/4" NE (a wonderful Greener Facile Princeps), I am loading 84.5 grains of IMR4831 behind the Woodleigh 400 grain soft nose and a Fed. 215 primer. That load is safe in my rifle and regulates. As they say, always start a little lighter and work up! I appreciate your going into such detail about my rifle's construction. According to the "Alexander Henry, Rifle Maker" book, all double rifle actions produced after Alex Martin acquired the Henry name, were made for them (either partial or complete) by others in the Birmingham gun trade. I was hoping the "clipped spade" rib extension with the hidden 3rd bite, and perhaps the chopper lump construction, might be a clue as to the maker. So far I havent't found any other makes with that clipped spade rib extension. 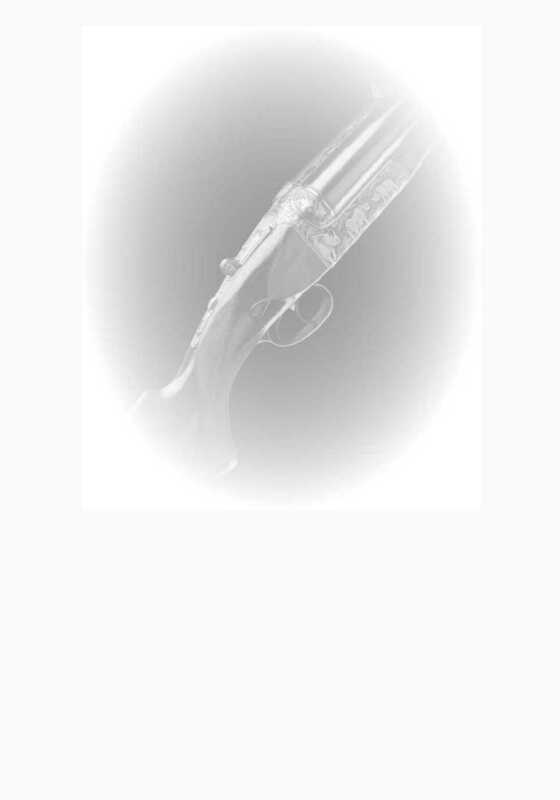 Is it possible that Webley made actions for the trade that had fewer embellishments than others? It really makes no difference because I like the rifle's "look" and balance, but it would be interesting to know how it came to be. Are there any other features that I might examine to determine the possible maker? I don't know the answer to your question. About all I know is set out in my comparison above. The clipped spade on your double is certainly a dead ringer of a Webley. Perhaps it was made by Webley. Dallas' Alexander Henry reference book shows your rifle as having been completed May 11, 1919. Webley was still producing their A&W-C at that time. My gut feeling is that if it were a Webley it would be an A&W-C and would look just like my .450NE Gibbs. Others with more knowledge of the various makers can answer better than I. It's certainly a nice rifle, no matter who made it. An interesting treatise on the Anson & Deeley boxlock action. More than one maker and some were very similar in styling details.